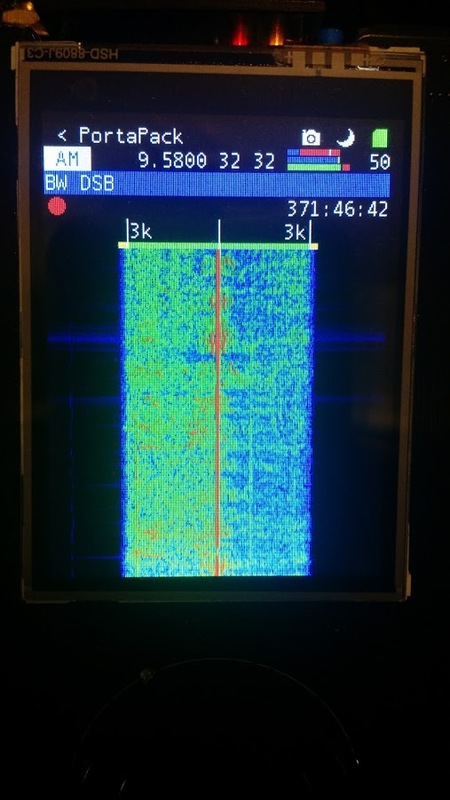 Spectrum display on the 18 meter band. It’s time to thin the herd! Over the coming weeks, I’m planning to liquidate some gear here at the SWLing Post HQ. I’m selling radios and accessories I no longer use or need for comparison reviews. I’ll plan to post these on the SWLing Post before placing them on something like eBay. Know that funds from your purchase will help SWLing Post running costs and will be used to purchase future review units. First up is my HackRF One and Portapack H1 field-portable receiver and spectrum sampling package. I purchased these new at the 2016 Dayton Hamvention–the HackRF One was purchased at the TAPR booth and the PortaPack H1 at the Sharebrained Technology booth. 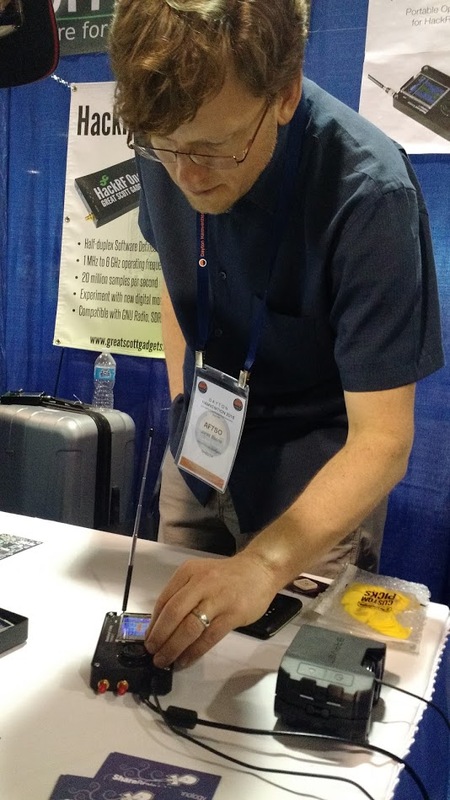 The Portapack H1 was installed on the HackRF One by its designer Jarod (see below). While I’m sure a number of readers are familiar with the HackRF One SDR, I doubt many will be familiar with the PortaPack H1, which I found to be one of the more exciting innovations showcased at the 2016 Hamvention. In essence, the PortaPack H1 is a shield that attaches to the HackRF and adds a touchscreen LCD, navigation controls, headphone jack, real-time clock, micro SD card slot, and custom aluminum case. When you add power via the USB port (or using a USB battery pack) you can utilize many HackRF features without needing a computer or tablet. The PortaPack firmware runs on the fast ARM processors in the HackRF. The only time an external computer is necessary is to reprogram the firmware. I fell in love with the PortPack H1 and purchased it on the spot at the Hamvention. Why? Well, among many other things, you can do spectrum recordings natively and save them to a MicroSD card. The PortPack writes the recording as a basic IQ file. I suspect it’ll require a little tinkering to open and playback the file in another SDR application. 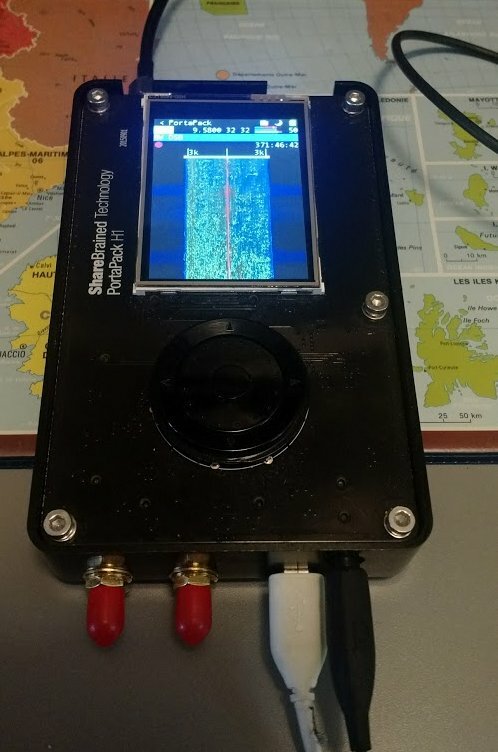 I had planned to use the PortPack as a means to do field SDR recordings and do a full review. After all, it must be the most compact, all-in-one solution for doing field spectrum recordings. Tuned to Radio Australia this morning. Truth is, though, I haven’t had time to tinker with the PortaPack at all as I’ve been so busy with family life, travels and doing other reviews. Also, I rarely do field spectrum recordings because I’m lucky enough to live at a site that has little to no radio interference. It would be very difficult for me to find an outdoor location and deploy an antenna that would outperform my home setup. I could see myself using the PortPack while doing proper globe-trotting across the planet, but I have no plans to do this in the near future. To be clear: though the PortPack H1 works as-is, it is developed with the hacker and experimenter in mind. You would need to figure out which app could import the spectrum files and what format to use. 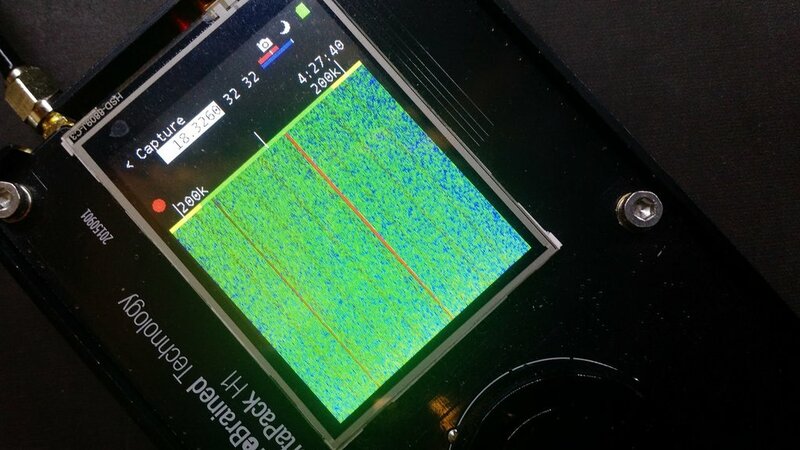 I bet I haven’t used the HackRF/PortaPack combo more than one hour on the air. It’s essentially like new and comes with the PortaPack metal case, the original HackRF One box, HackRF One plastic enclosure/case and cord. Originally, this package cost me over $500. I’m selling this HackRF One and PortaPack H1 one shipped and fully insured via the USPS (within the US) for $400. If you’re seriously interested, but live outside the US, please contact me. I would need to determine shipping costs based on the destination. Note that I’m no expert at doing international shipments, though, so can’t comment regarding import duties and customs clearance or tracking. I would like to receive funds via PayPal or perhaps Google Wallet. I can do USPS money orders, etc. but they will need to clear prior to shipping (this adds a few days to the turn-around time). 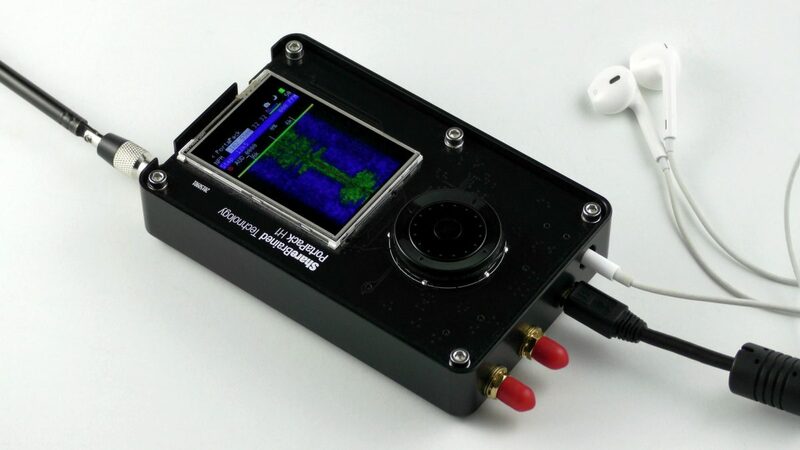 I know very little in terms of operating the PortPack H1, so I would encourage you to check out both the HackRF One and Sharebrained Technology websites to learn more prior to purchasing. Again, your purchase will essentially help me fund the SWLing Post! Contact me if interested–first come, first serve. Thanks! This entry was posted in News, Software Defined Radio and tagged for sale, HackRF One, HackRF SDR, PortaPack H1 on January 15, 2017 by Thomas. Want to buy a 100 kilowatt shortwave transmitter? Elbow EIA, 4 1/8″, 5 pcs. Connector, 4 1/8″ for HF 5″, 2 pcs. This entry was posted in Broadcasters, News and tagged for sale, NASB, RIZ, shortwave transmitters on September 9, 2013 by Thomas.